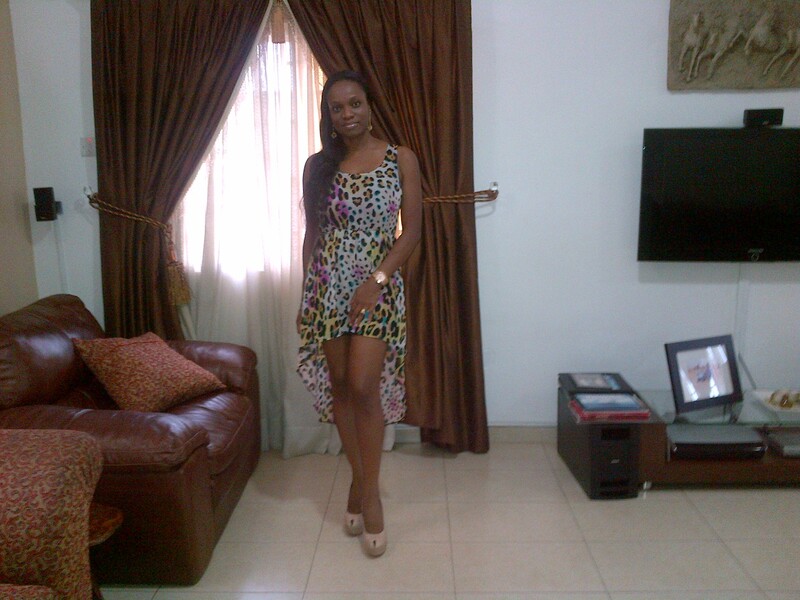 Our fashion diva of the week is the lovely Ngozi Obiefuna from Lagos. 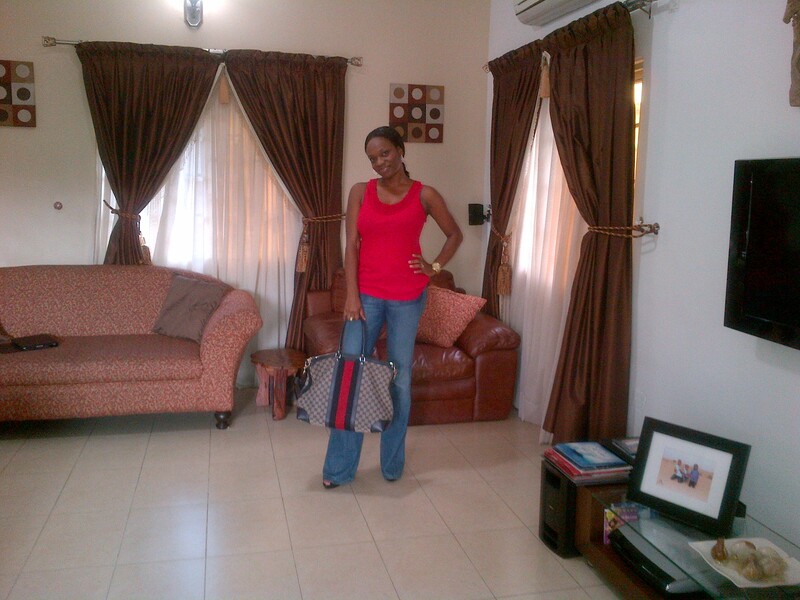 Ngozi is wearing a red vest from Tommy Hilfiger, blue jeans from Saks Fifth Avenue, black patent sandals from Next and a handbag by Gucci. She accessorised her look with a gold watch by Michael Kors and Swarovski earrings – Smashing. Here, Ngozi is wearing a jacket from Sashes Couture, blue jeans by True Religion and black patent shoes from Dorothy Perkins. Her look is accessorised with black bangles from Sashes Couture, sunglasses by D & G and Swarovski earrings – Dapper. 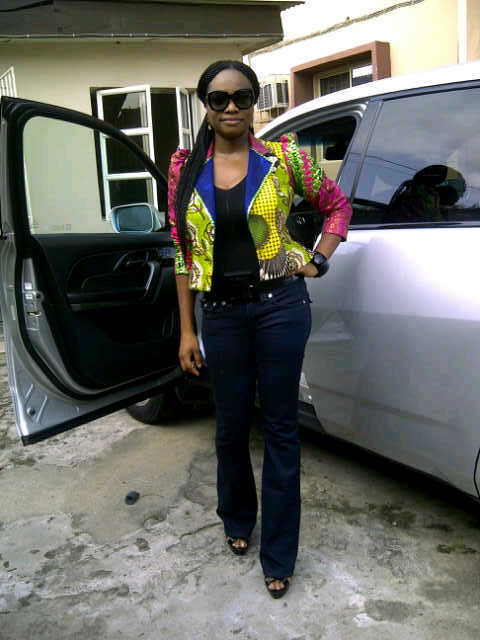 Pls contact Sashes Fashn (Readytowearcouture) on Facebook to place an order for your own Sashes Couture jacket. 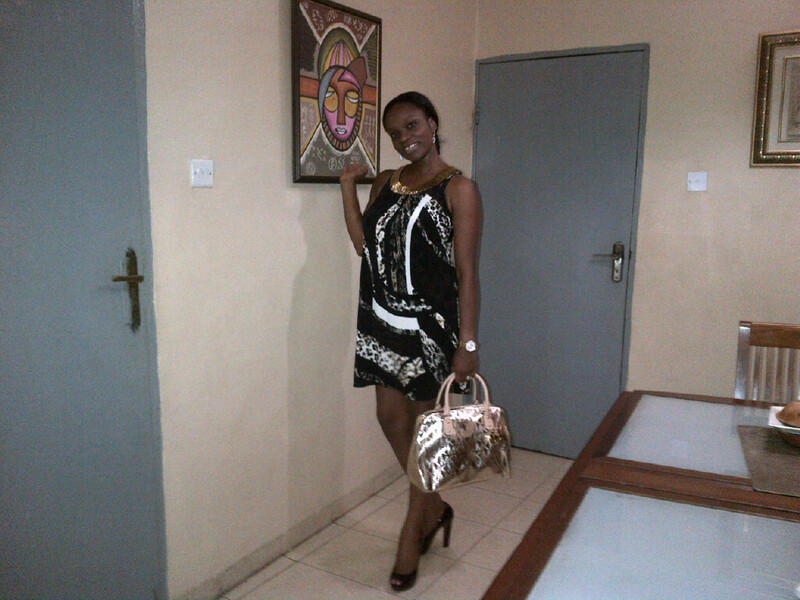 Ngozi is wearing a black and white dress by Wallis, black patent shoes by Dune and a gold bag by Michael Kors. Her look is accessorised with Swarovski earrings and a gold watch by Storm – Lovely. This lovely dress is from Top Shop and shoes by Russell and Bromley. Her accessories are a rose gold watch by Michael Kors and Swarovski earrings – Sweet. 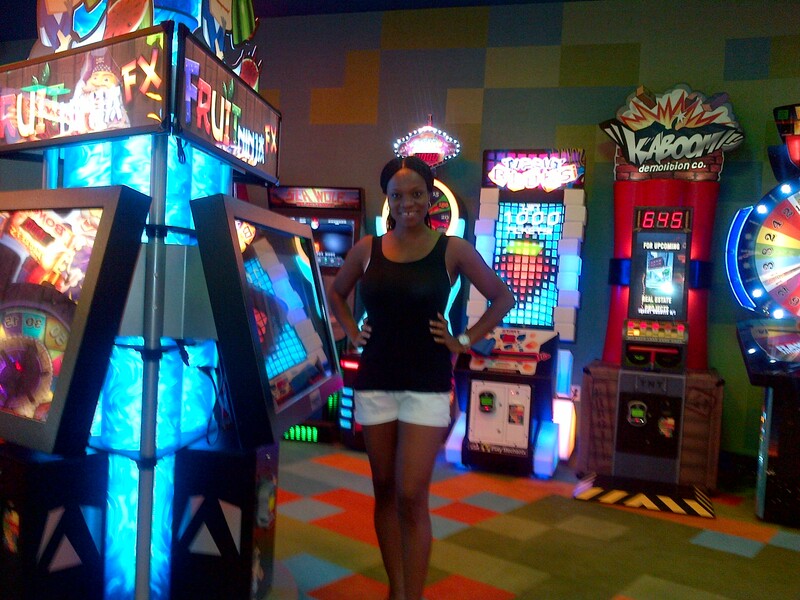 Here, Ngozi is wearing a black vest from Gap, white shorts from Primark. Her look is accessorised with Swarovski earrings and a gold watch by Michael Kors – Cute. Ngozi is wearing a black INC top, blue True Religion jeans, black and gold suede spike Dune shoes and hand bag by Kate Spade. Her look is accessorised with a silver watch by Guess and earrings by Swarovski – Perfect. I just want to raid her wardrobe. I love everything she has on. Ng U̶̲̥̅̊ look G̶̲̥̅Ơ̴̴̴̴͡.̮Ơ̴̴̴͡D̶̲̥̅. Dear. 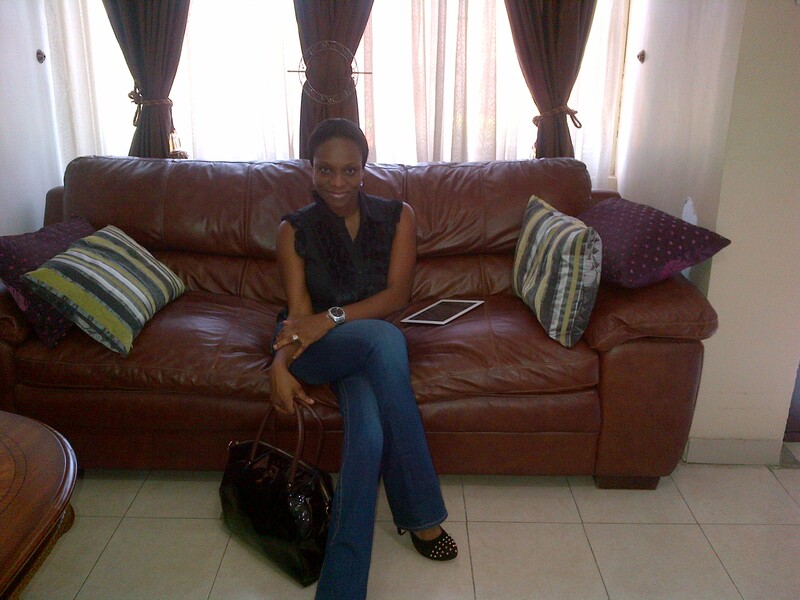 I’m definitely gonna raid you Ngozi……..wow didn’t know you had gotten this busy………good job girl…….hawtness rules. Lovely outfits, nice combination of colours and accessories! Loving the Sashes Couture jacket, how do i get one of those? I have one of those black and white dresses from Wallis, looks nice on you as well! Do you know where i can get nice ankara shoe and clutch sets? Been looking for one. 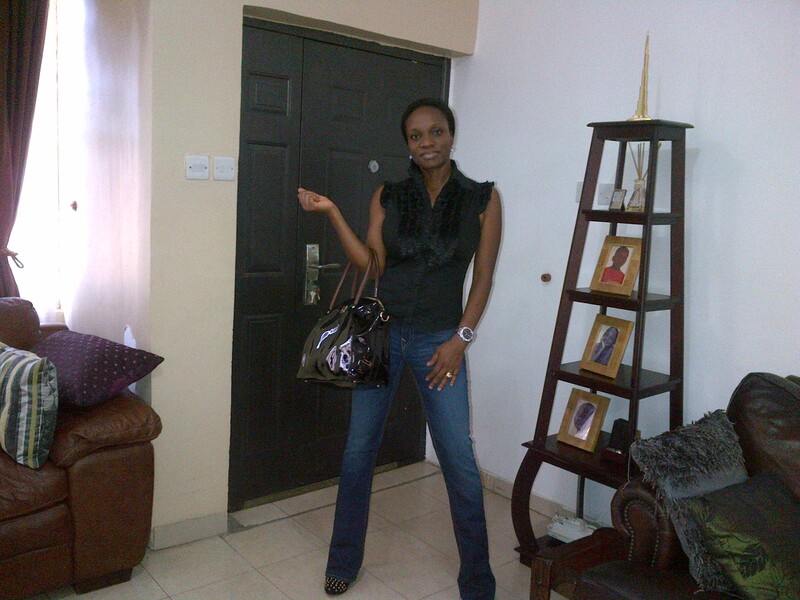 Keep it up, Ngozi nice one! Yes Nnenna. You can get the jacket, shoe and clutch sets from Sashes Couture. You can contact them on 08037108353, 08100555000. Blackberry pin: 26A063AD. Thanx guys….looool @ Stella, Lolade and Katchy, just keep me posted on when the raiding shall happen…..
Love your style, especially the colorful Cheetah print dress! You rock that dress!